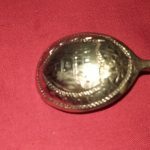 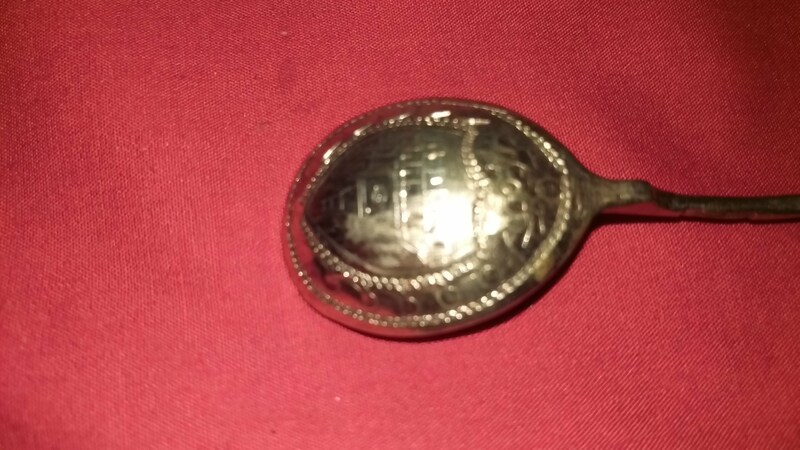 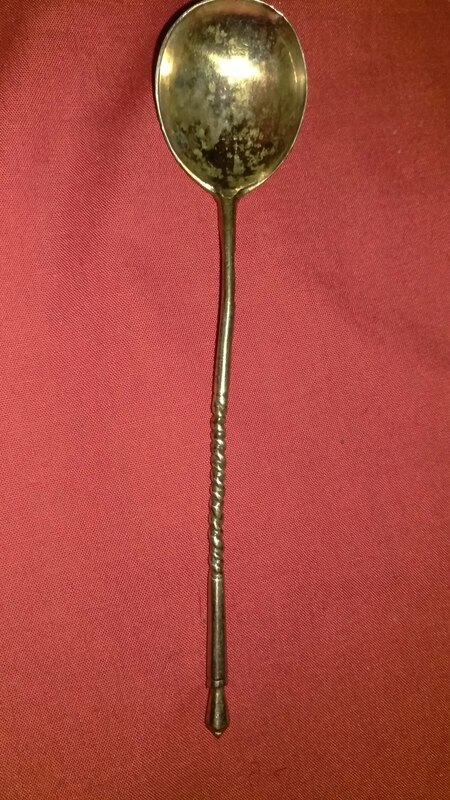 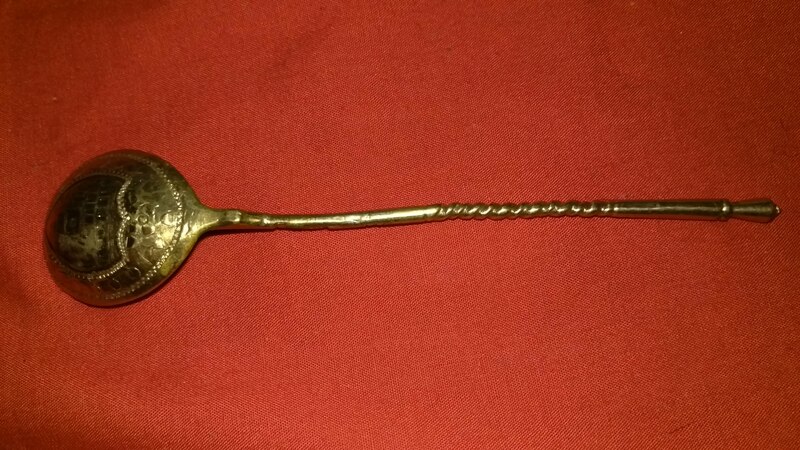 Little Golden Spoon Made in 1885 or 1895? 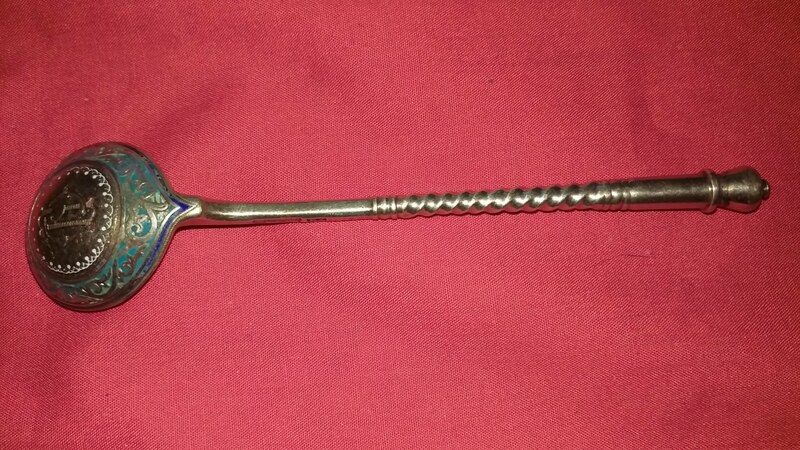 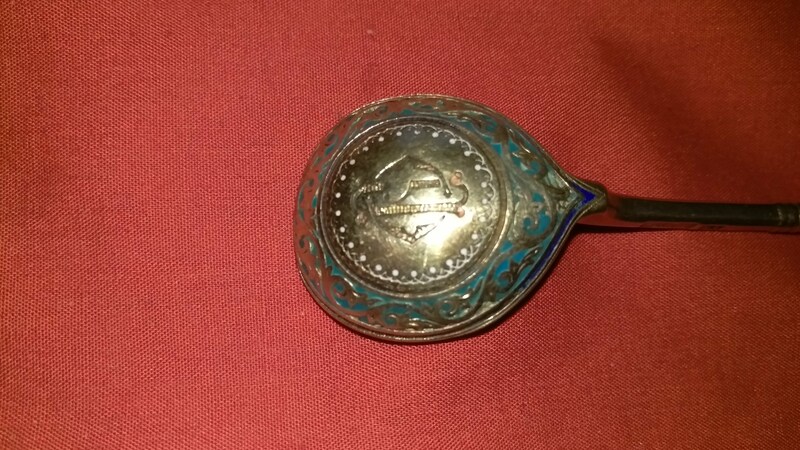 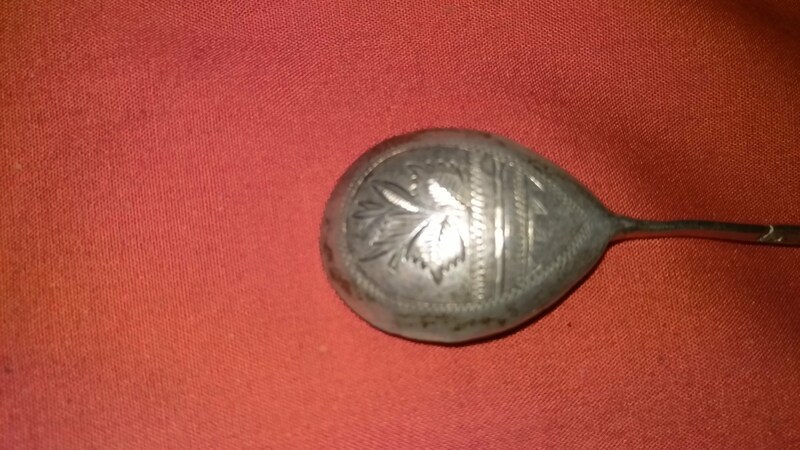 Enameled Spoon Made in 1880? 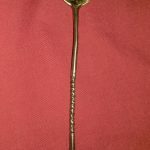 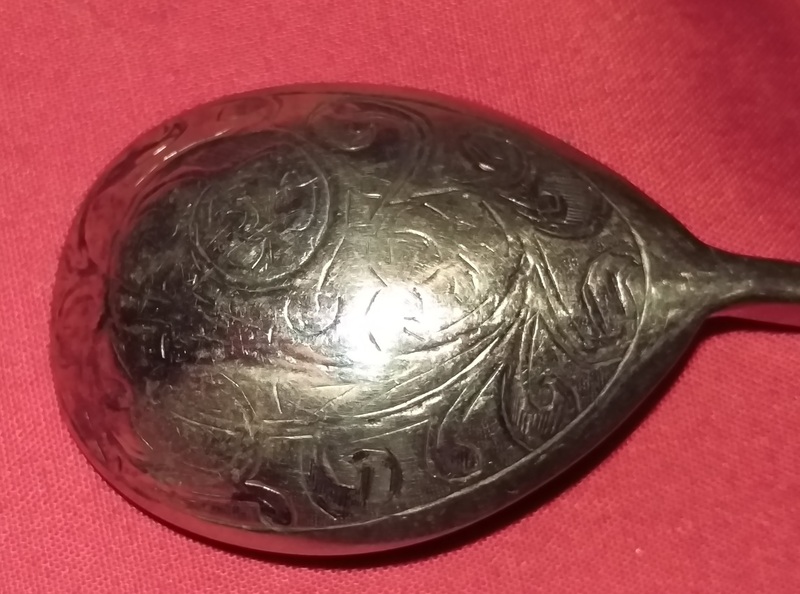 From Goldstein this could be a spoon made by Court supplier I. Khlebnikov, assayer A. Romanov in Moscow. 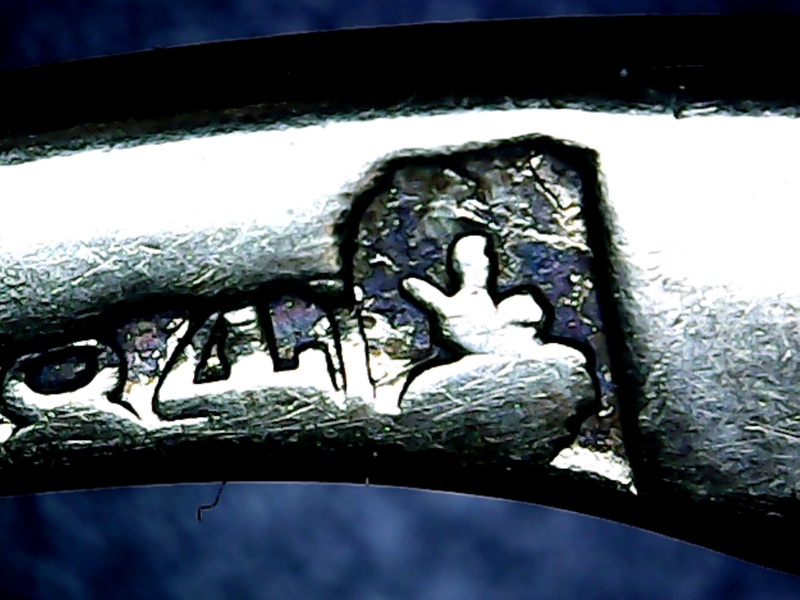 From AG2012 Иван Хромов (Ivan Khromov) at Sorokova house Moscow. 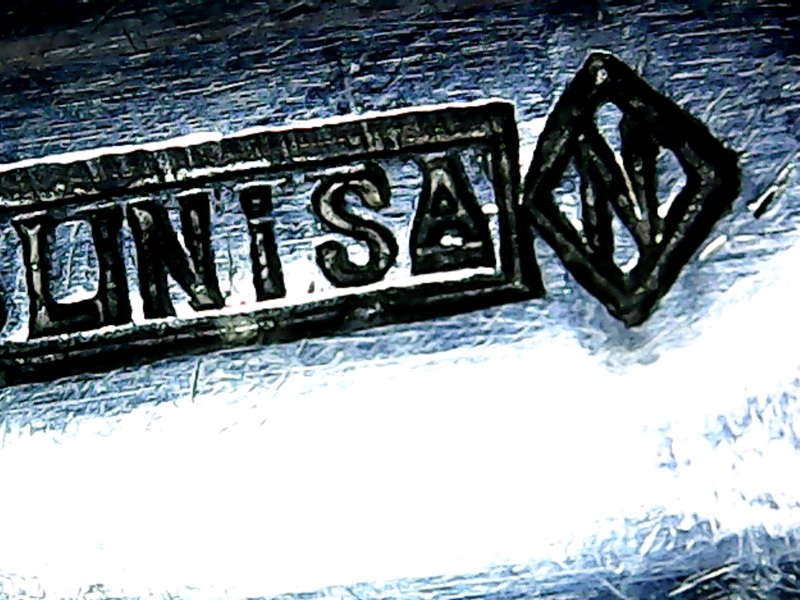 From time to time he was selling his silver in Исаев (Isaev) shop. Seldom attributed to him, Khlebnikov being more lucrative whenever ИХ is encountered. 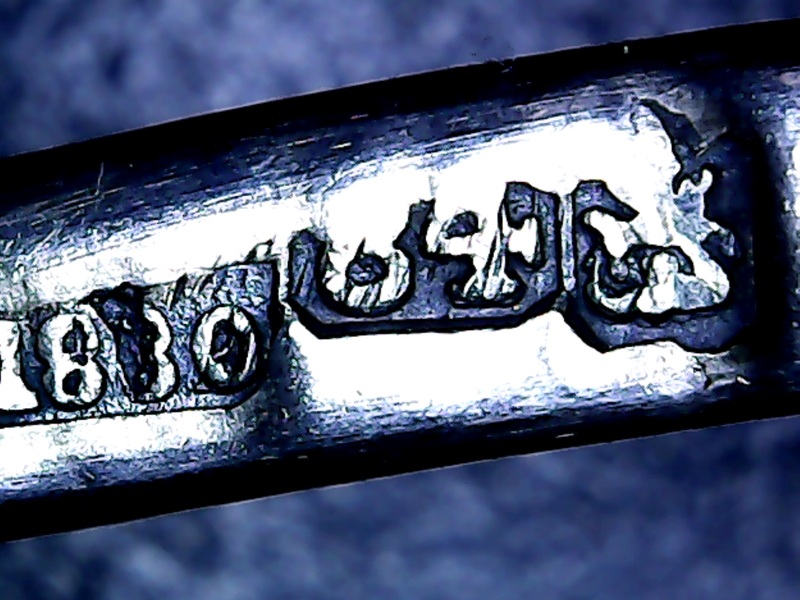 From Goldstein But “Ivanov” and his collection of initials, often without photos of the marks is in the true sense of the word “unbelievable” sometimes. 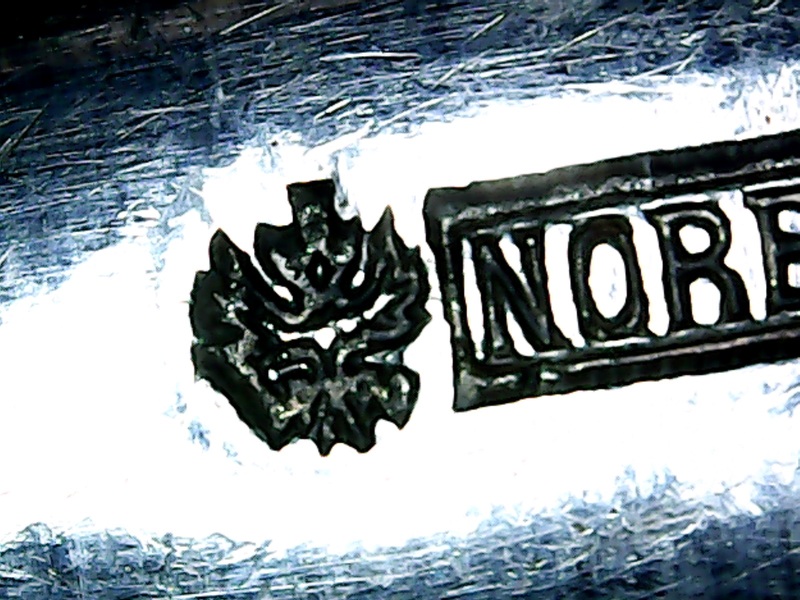 No word if Khromov worked in enamel at all, especially in champleveé. 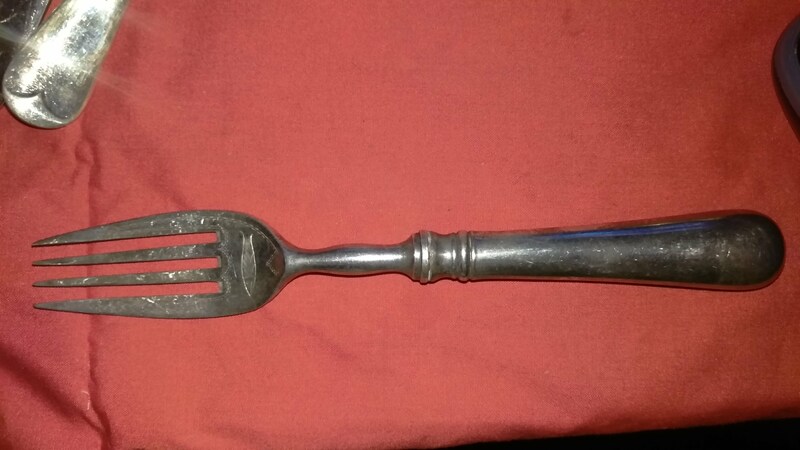 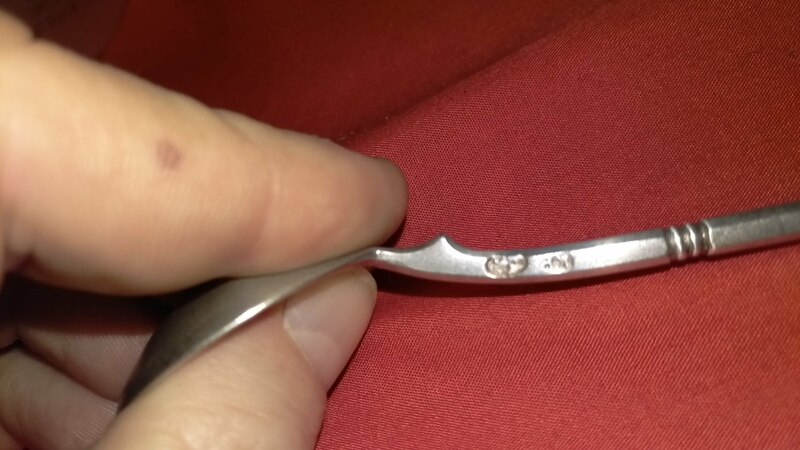 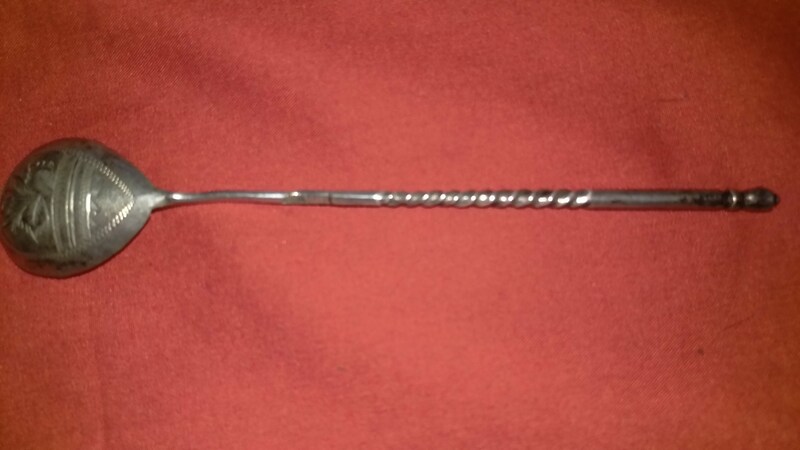 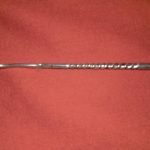 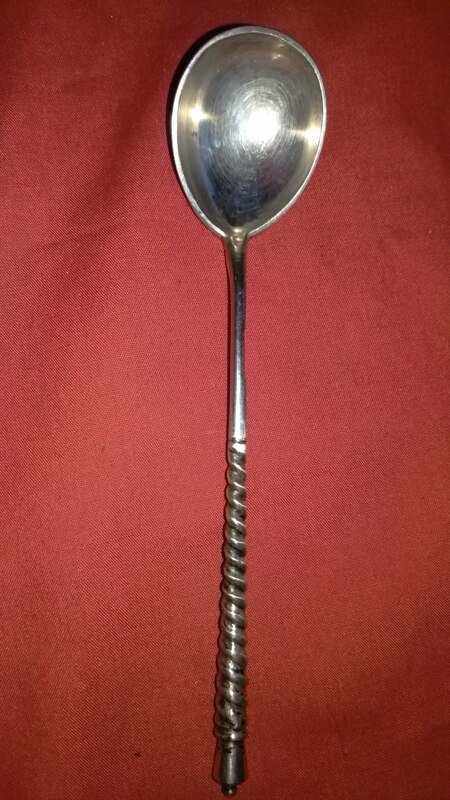 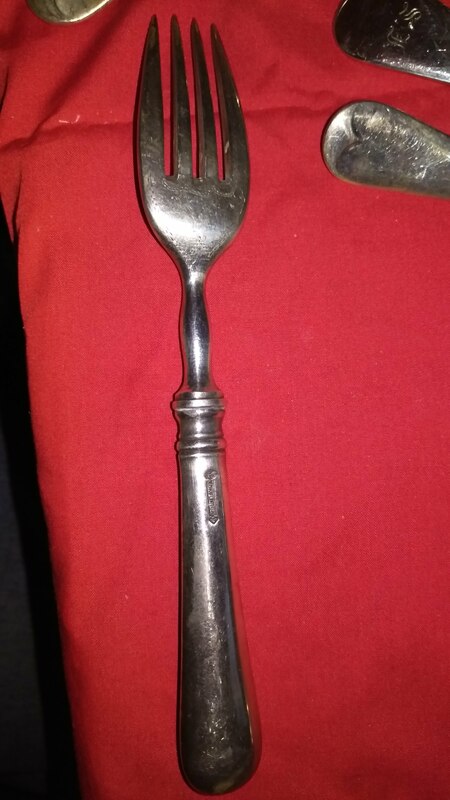 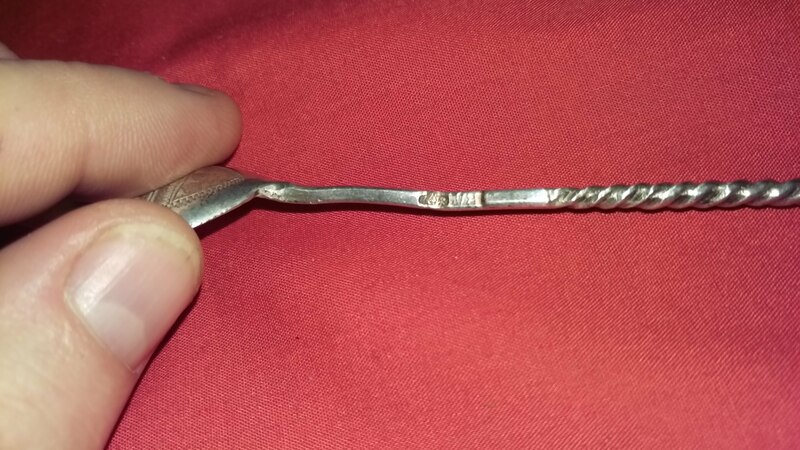 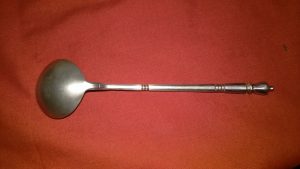 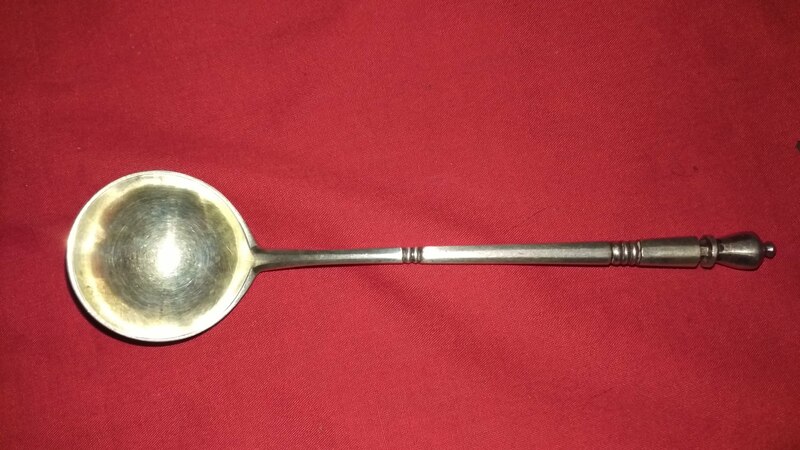 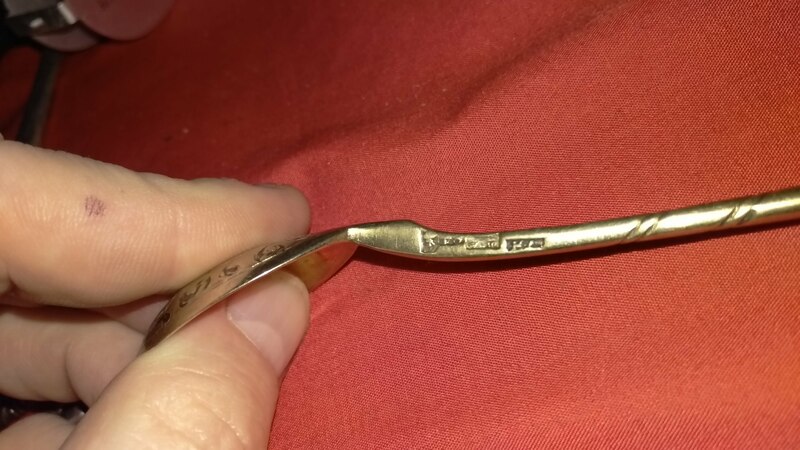 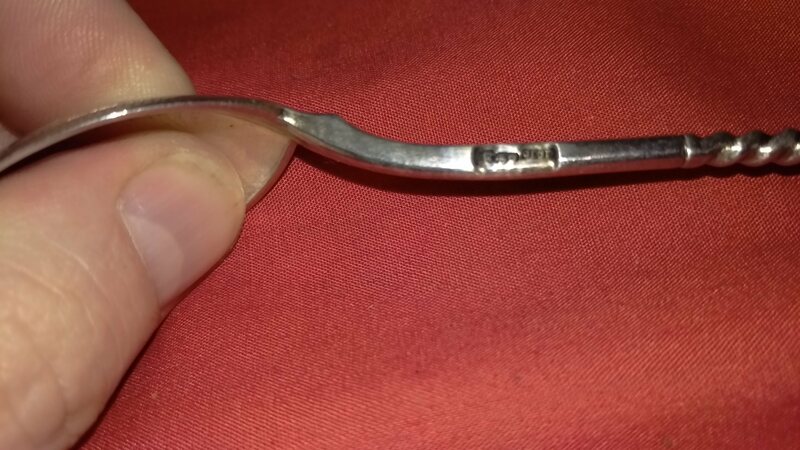 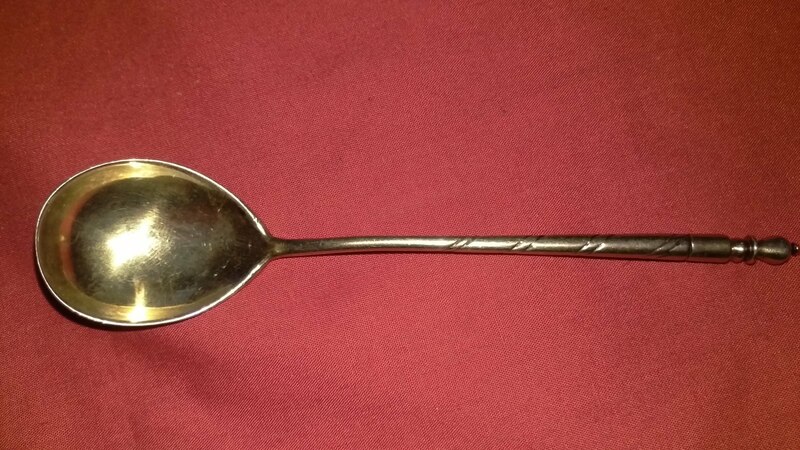 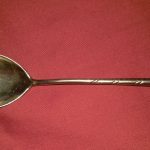 Unfortunately, the photo quality does not show the workmanship and the former quality of the mistreated spoon. 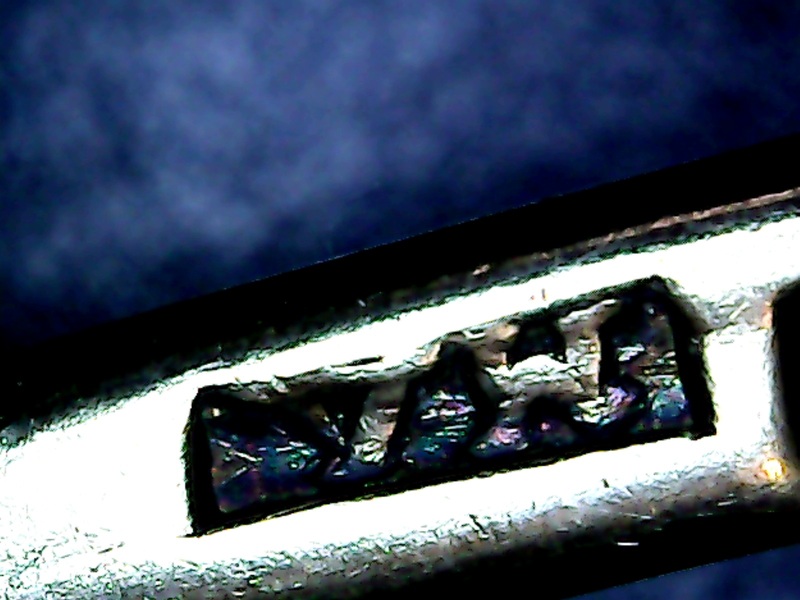 Even the monogram is artfully executed. 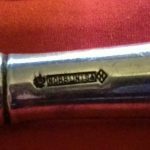 I opt for Khlebnikov – it is his quality. 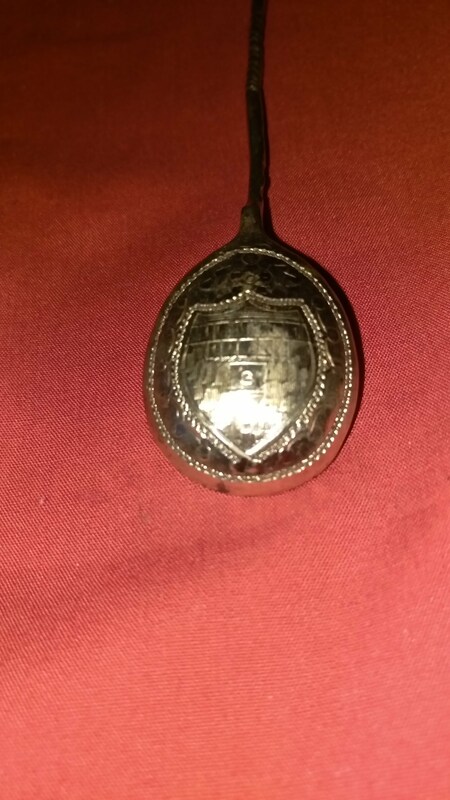 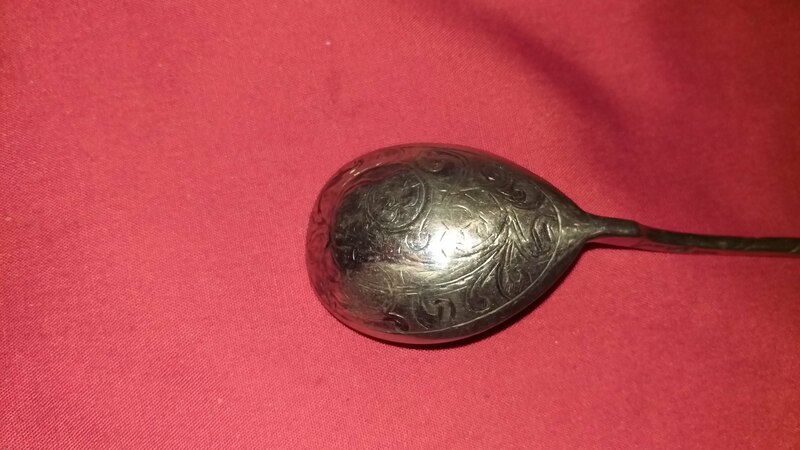 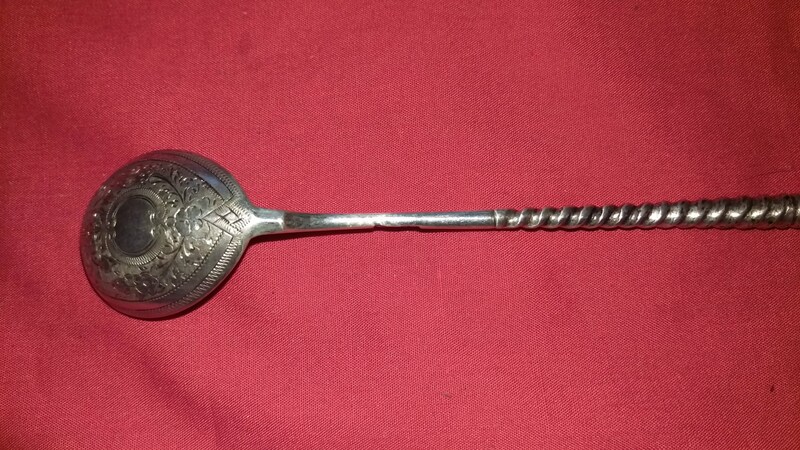 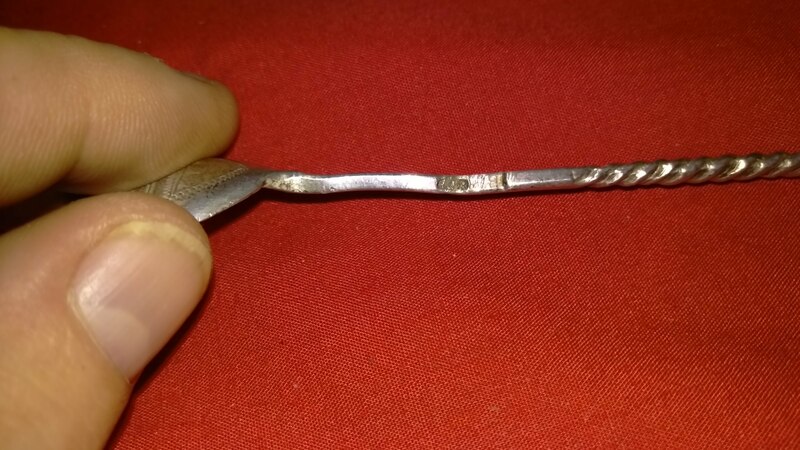 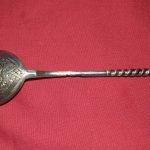 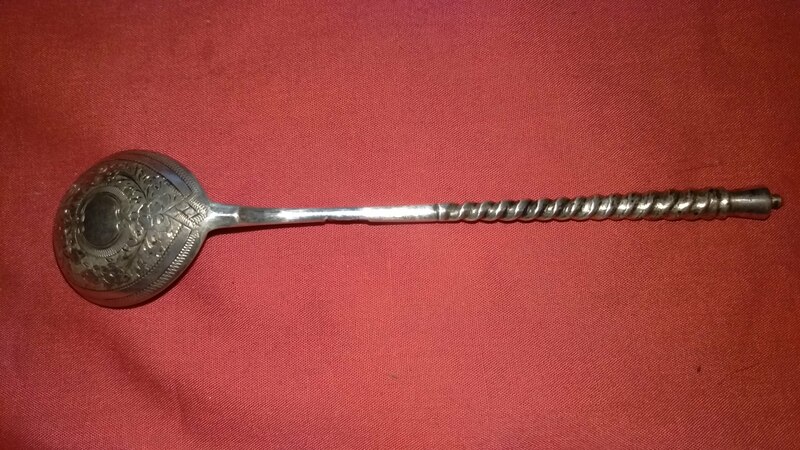 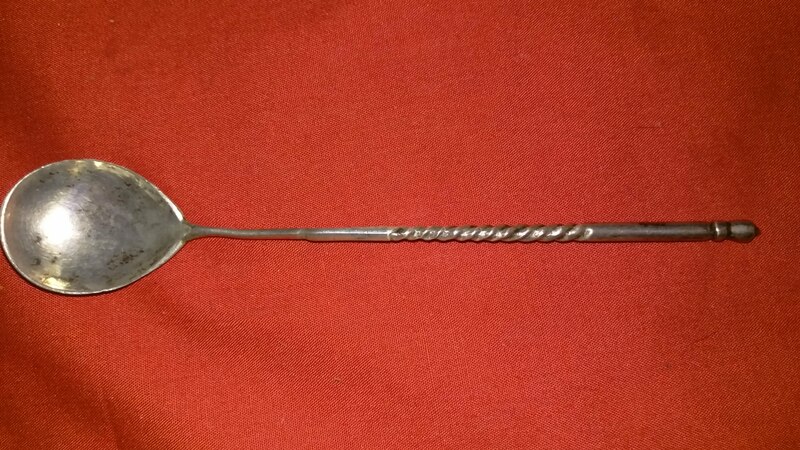 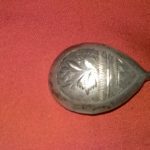 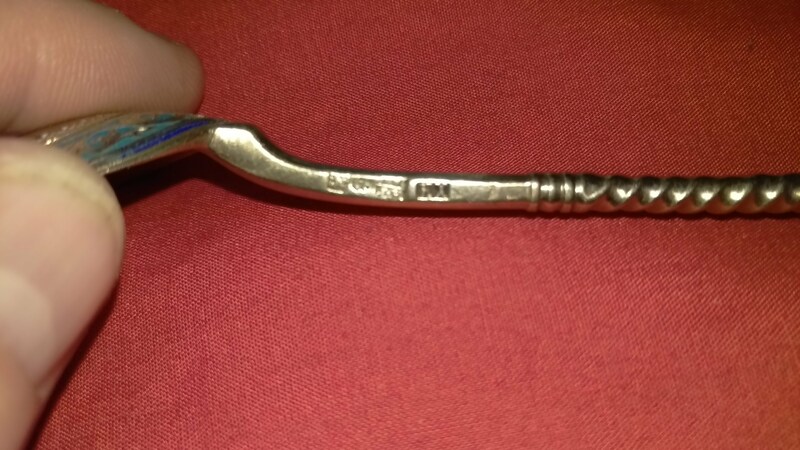 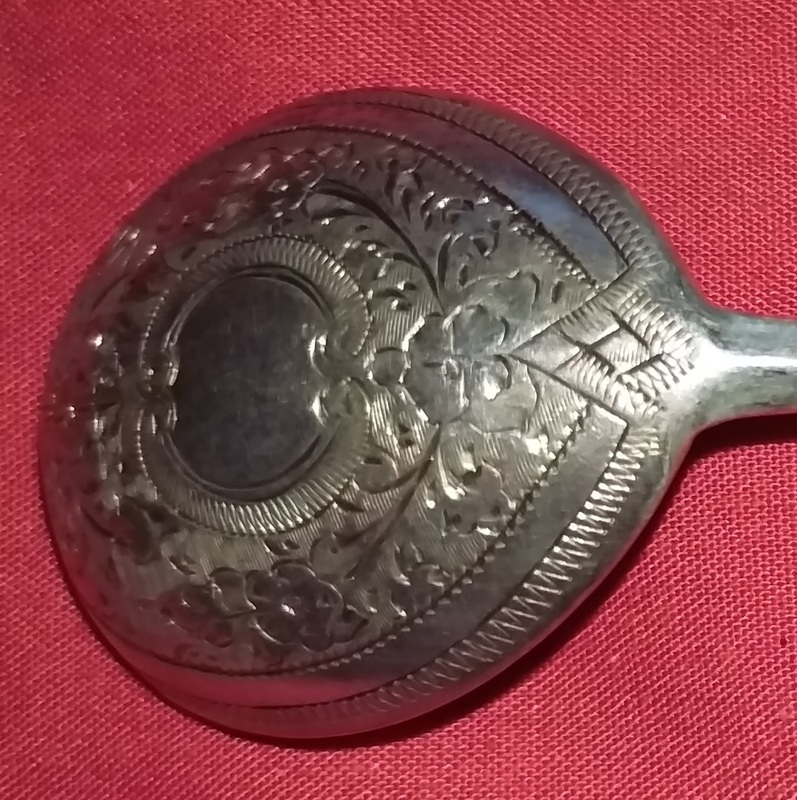 Old Russian Spoon made in 1880. 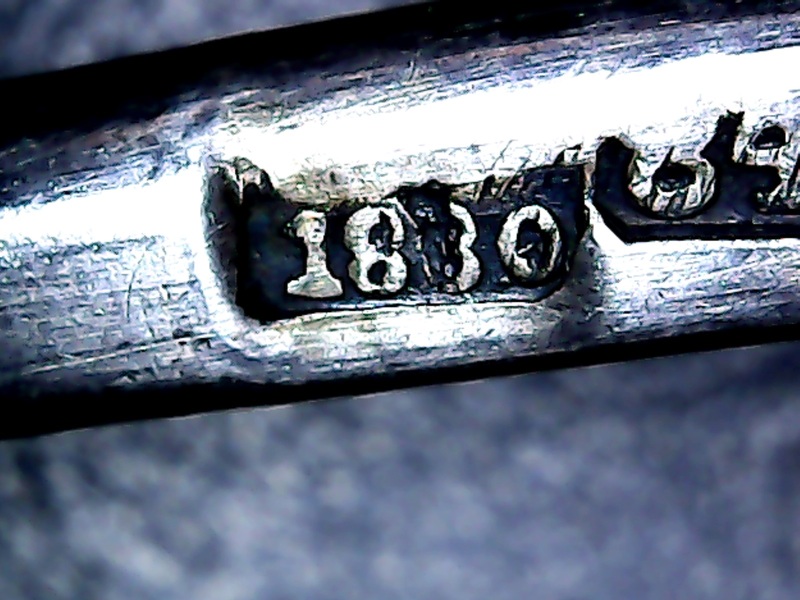 From AG2012 on 925-1000.com/forum Moscow 1880 (cannot be 1830). 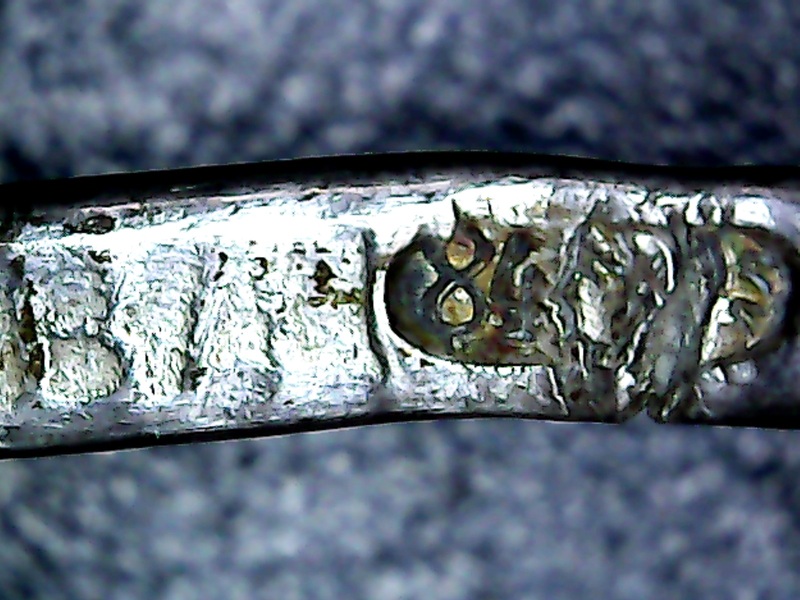 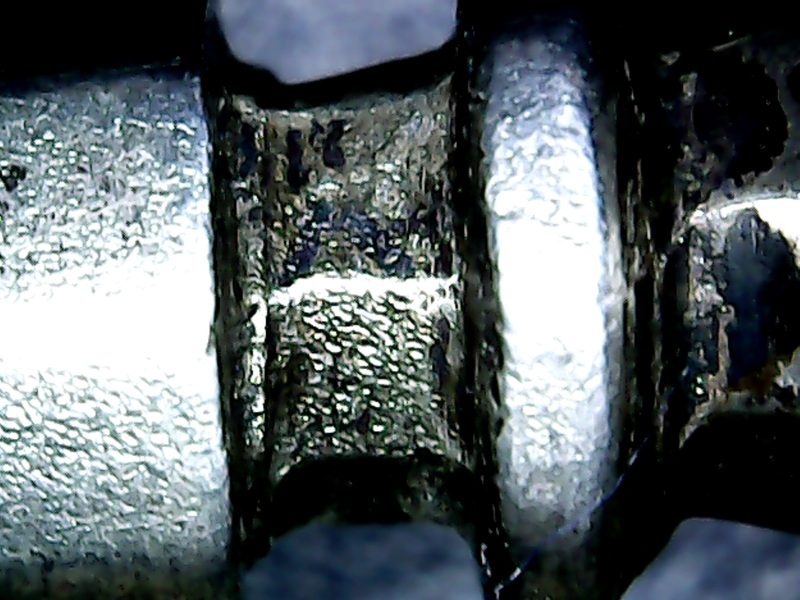 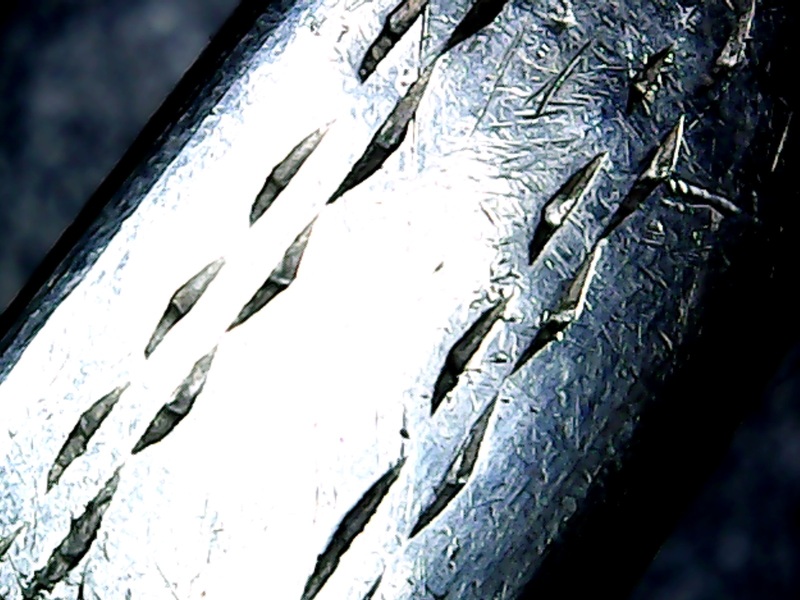 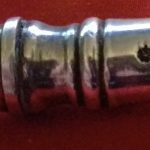 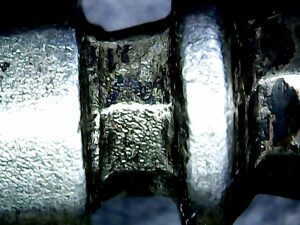 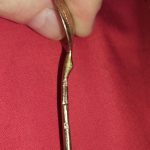 Traces of soldering (repair) at the junction between bowl and stem. 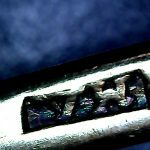 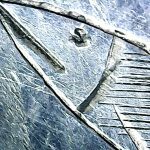 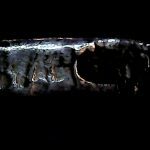 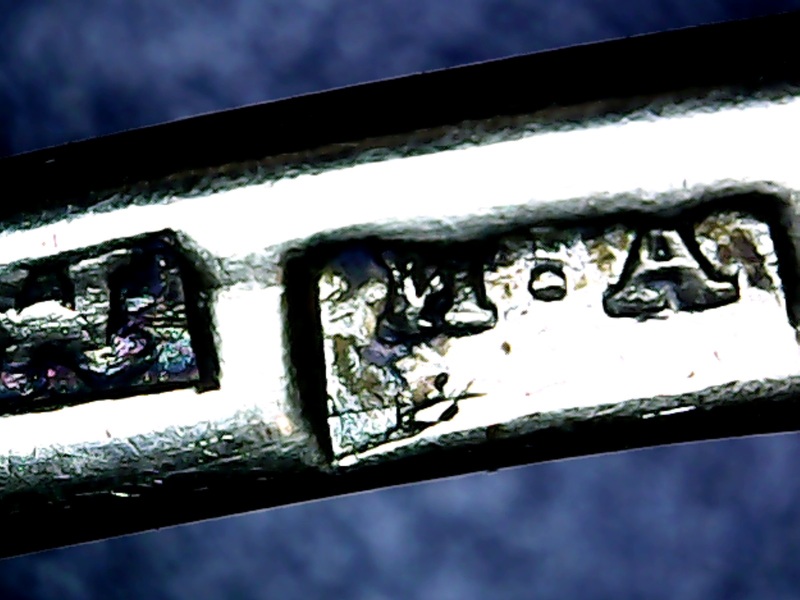 Is there no maker`s mark? 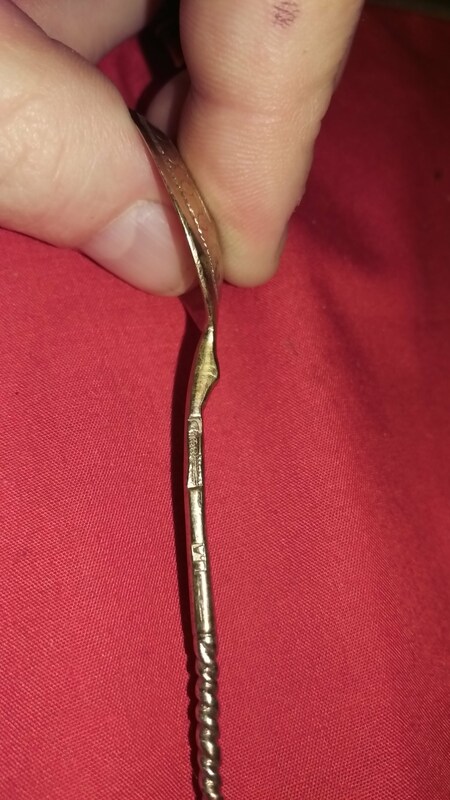 Otherwise looks genuine. From “AG2012” on http://925-1000.com/forum Silverplate by NORBLIN i Spolka (Warsaw) NORBLIN & Co. Ludwig Norblin was producing electroplated items, while and the partner Teodor Werner worked with silver items. 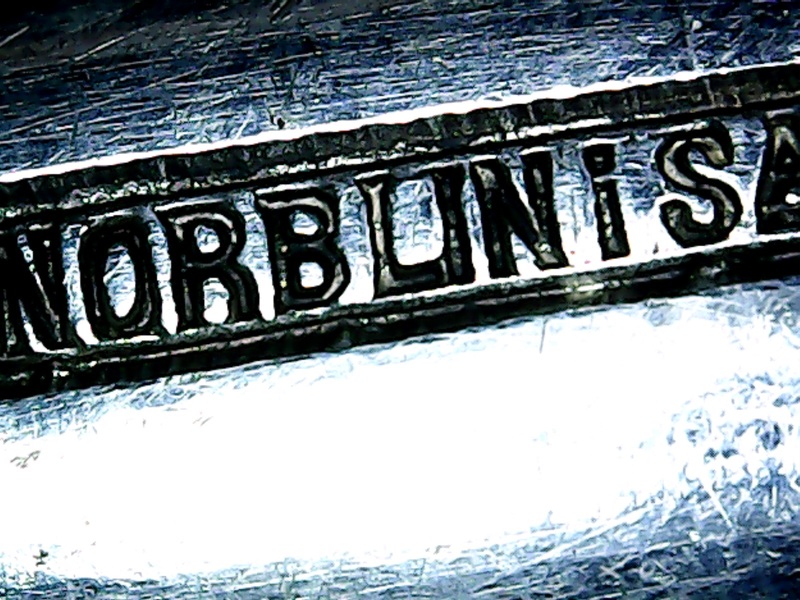 The history of the Norblin company is well known [3,4,5,6]. 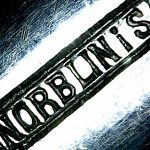 Vincent Norblin (1805-1872) was born in Paris. 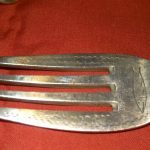 His life story reads like a cheap fiction. At the age of fourteen, Vincent appeared in Warsaw, where his father, the jeweller Alexandre Jean Constantin Norblin (1777-1828), together with Vincent’s uncles was running a small enterprise, a bronze foundry (founded in 1819). 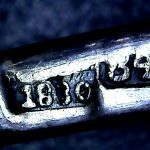 After his apprenticeship at his father’s factory and studies abroad, Vincent found work in Warsaw in a silver company managed by the French jeweller Jean Cerisy (in 1822). 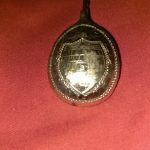 Cerisy had married the daughter of Filip Vorbrodt, a local businessman of German origin, who moved to Warsaw from the small German principality of Anhalt. 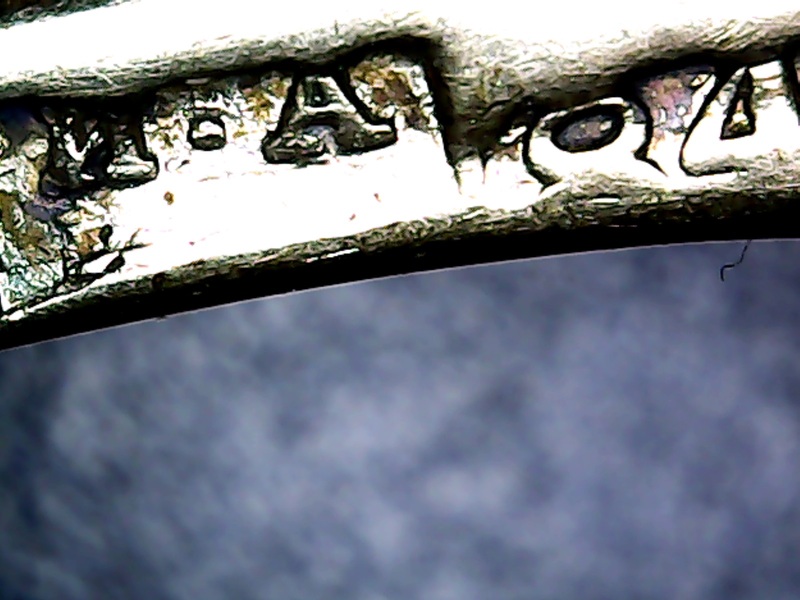 After the death of Filip Vorbrodt, the wife of Cerisy, Henriette Leopoldina Augusta, inherited her father’s silver company. 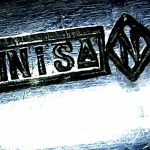 However, in 1831, Jean Cerisy died suddenly and Vincent Norblin (Wincenty Norblin in Polish) married his widow and became the boss of the firm. 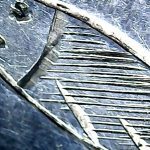 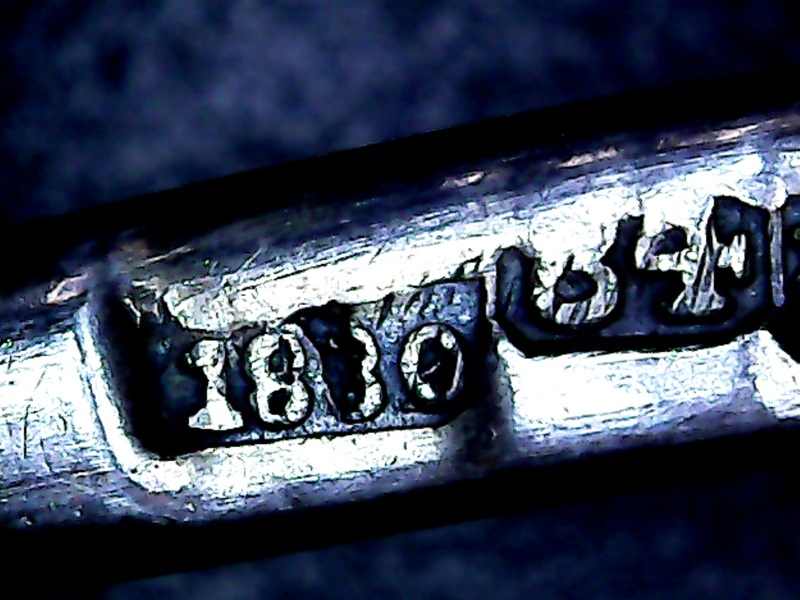 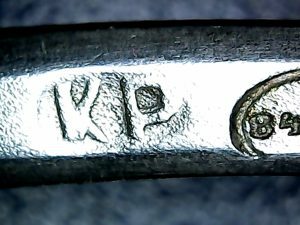 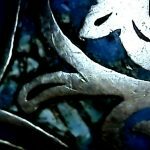 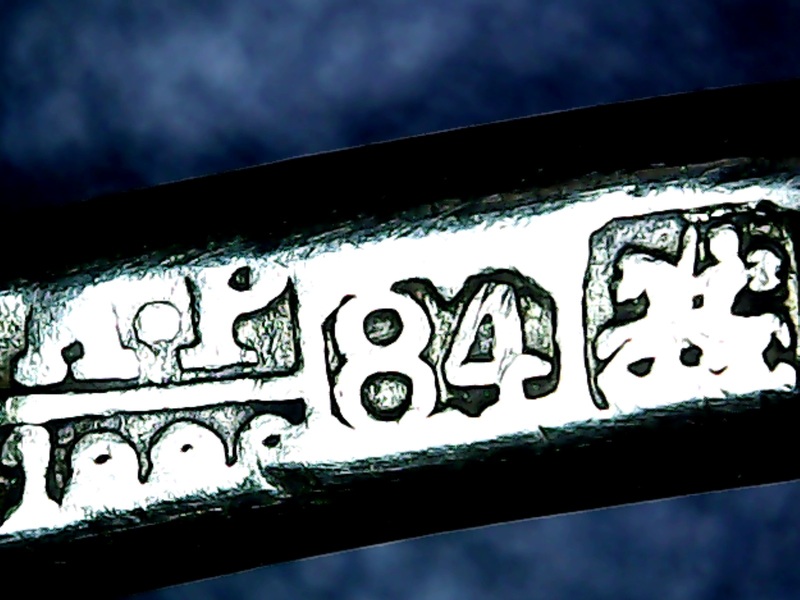 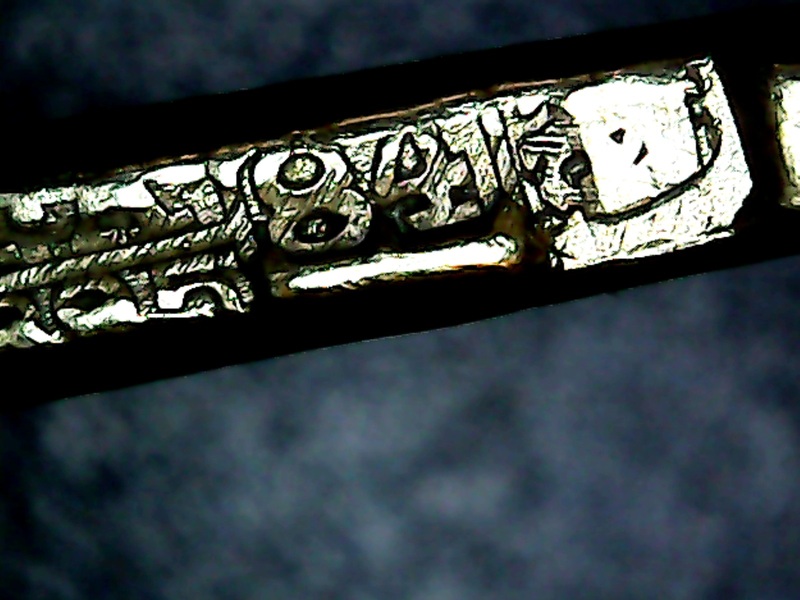 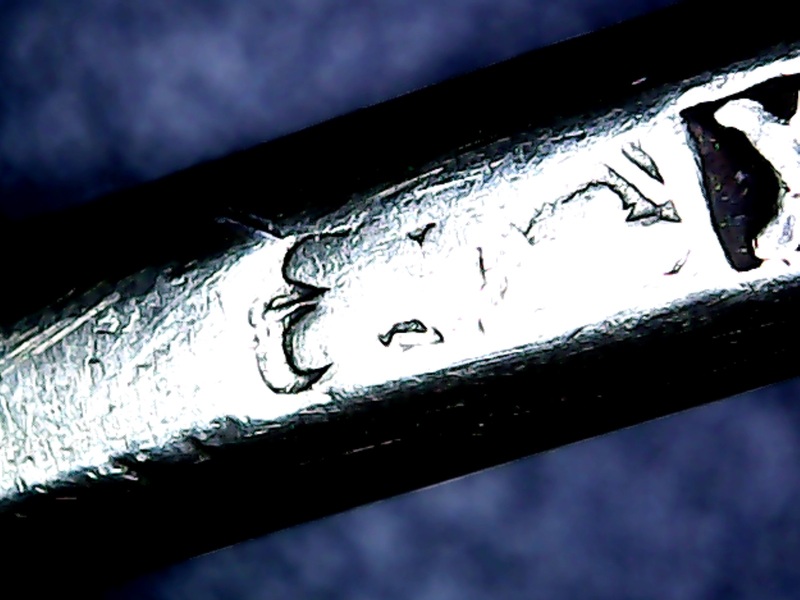 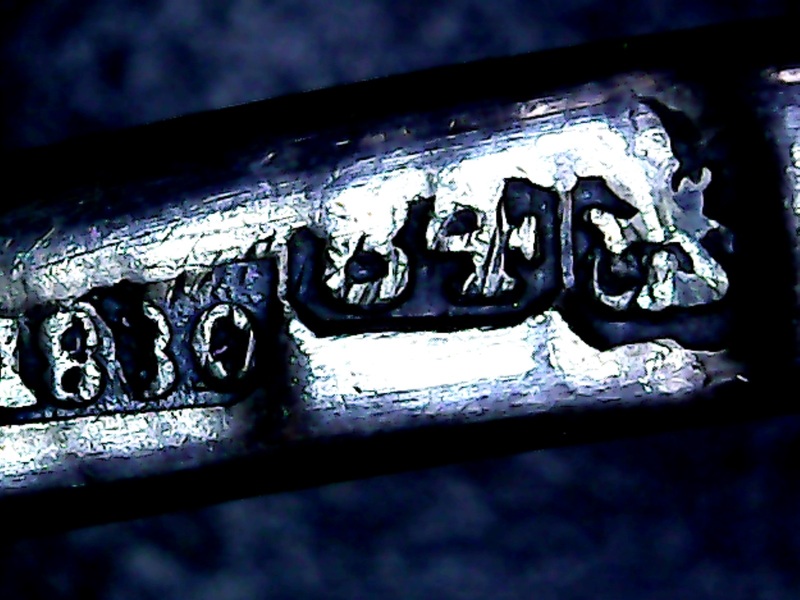 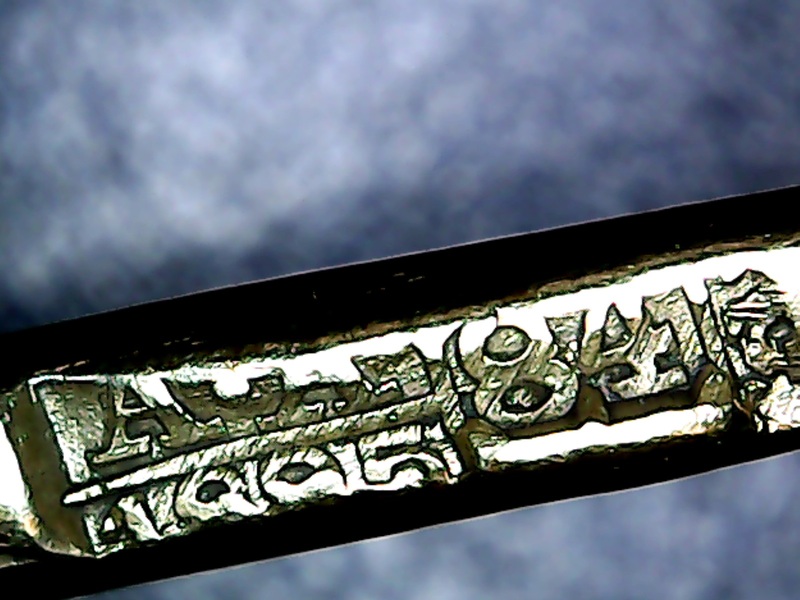 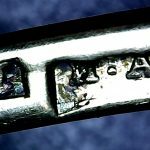 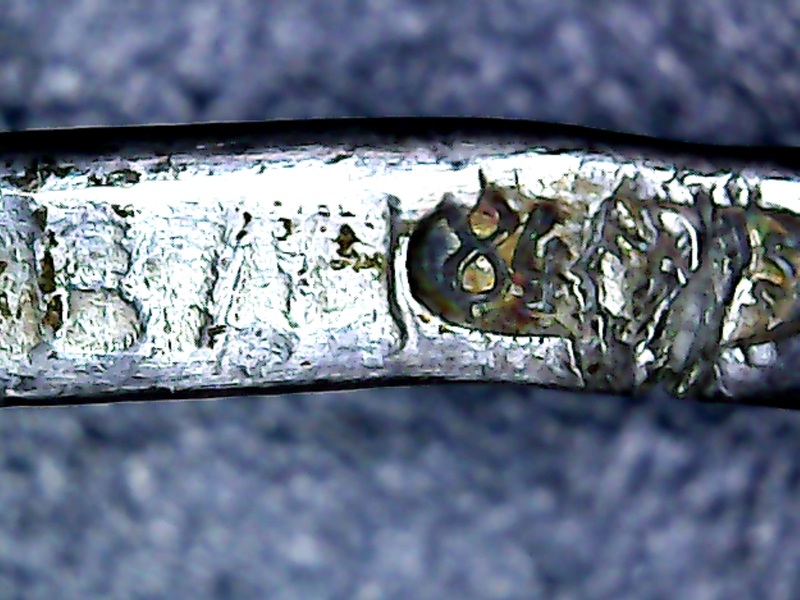 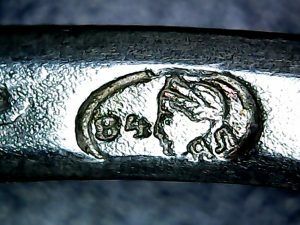 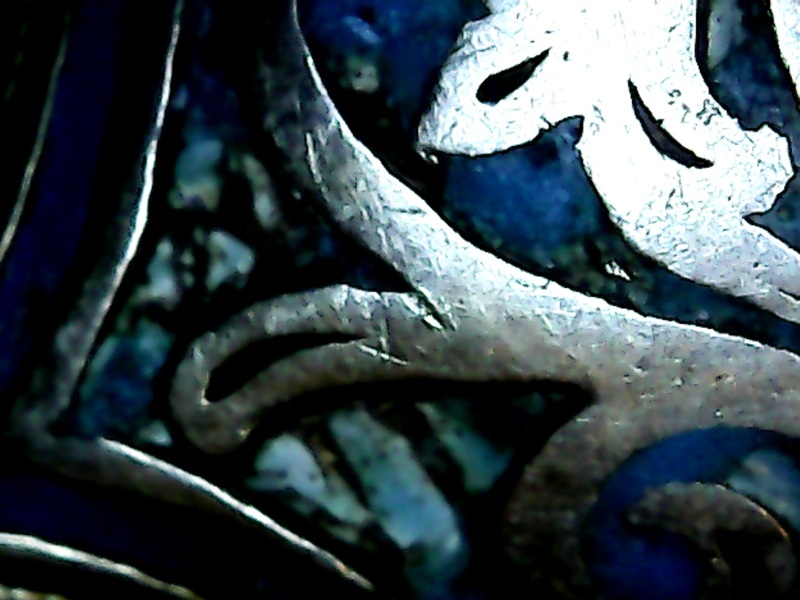 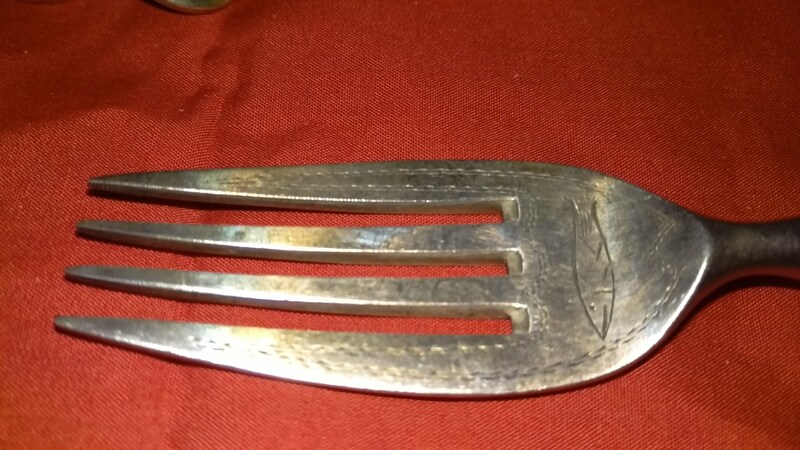 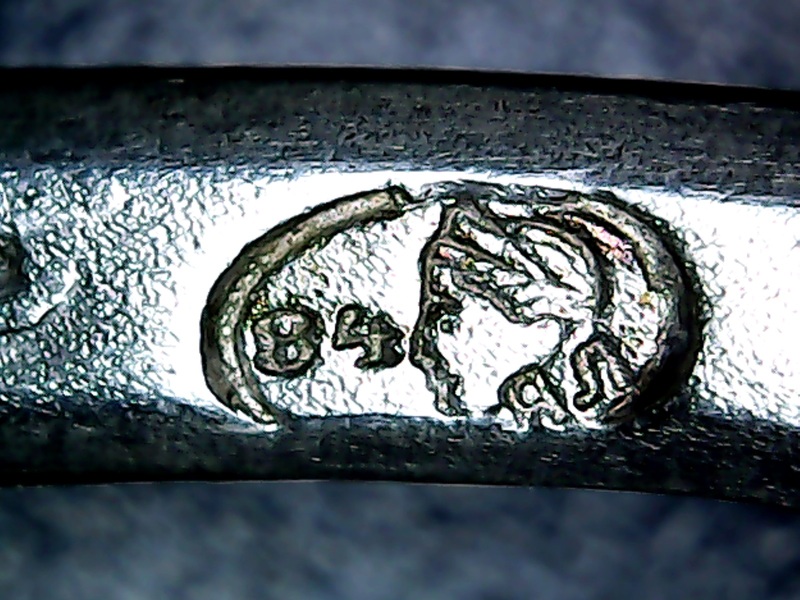 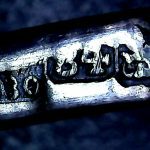 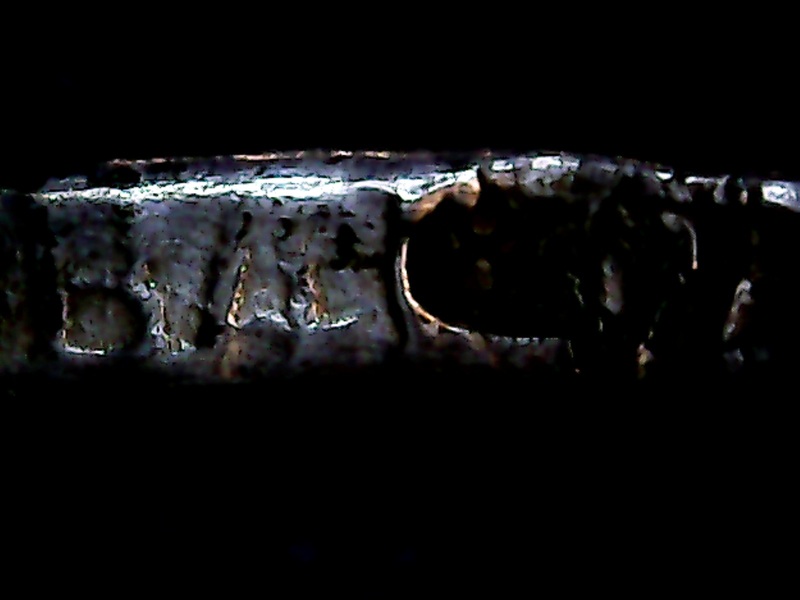 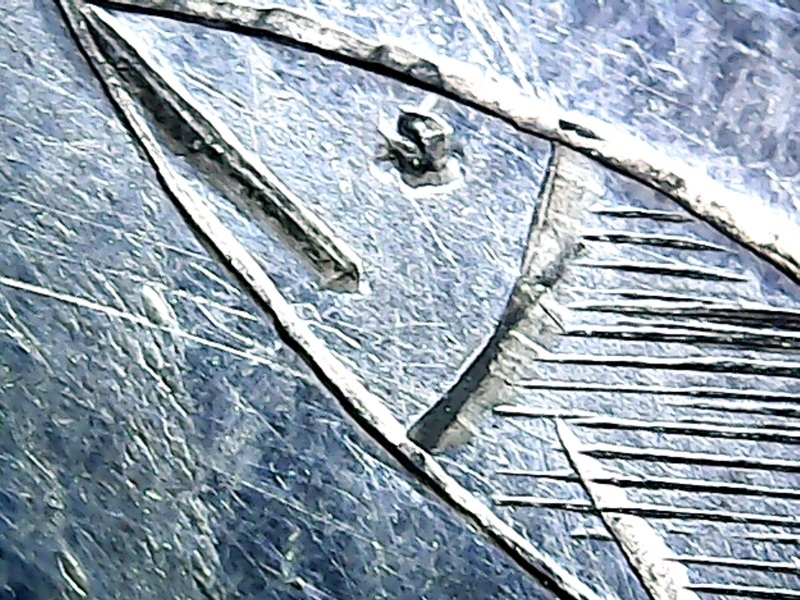 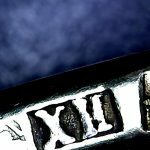 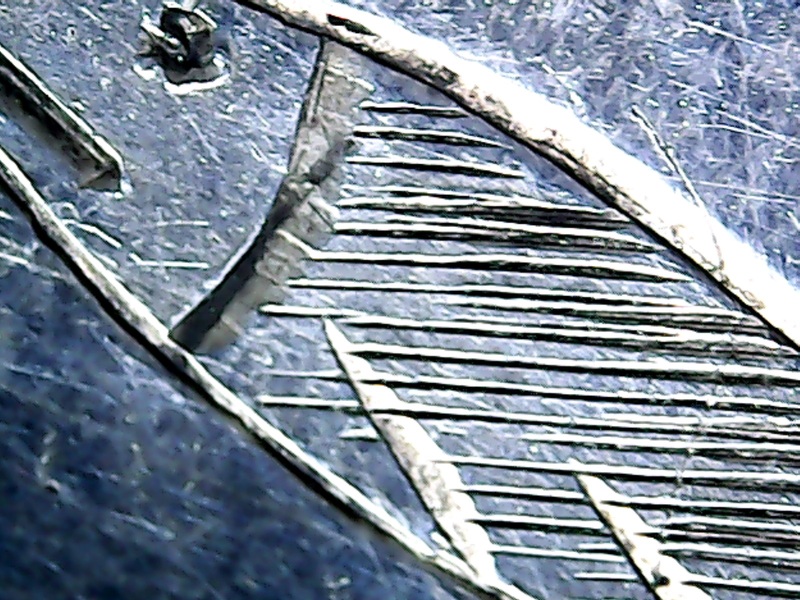 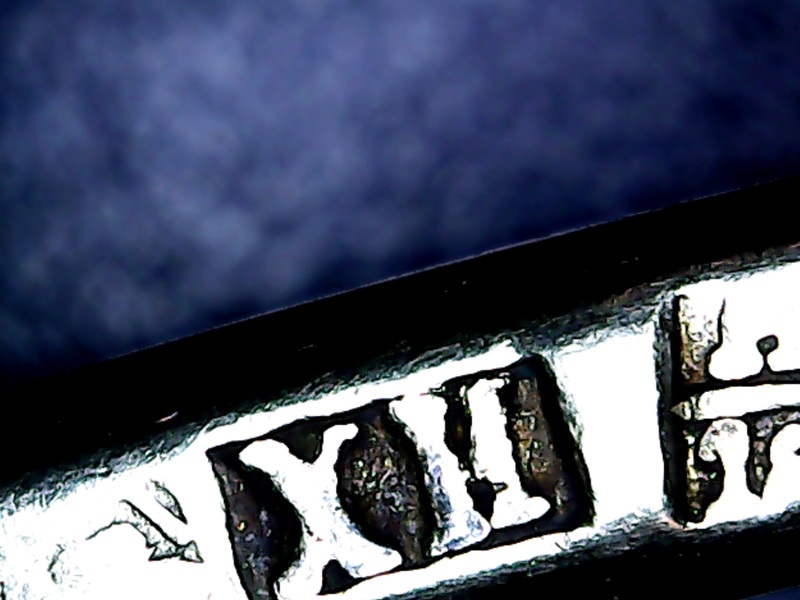 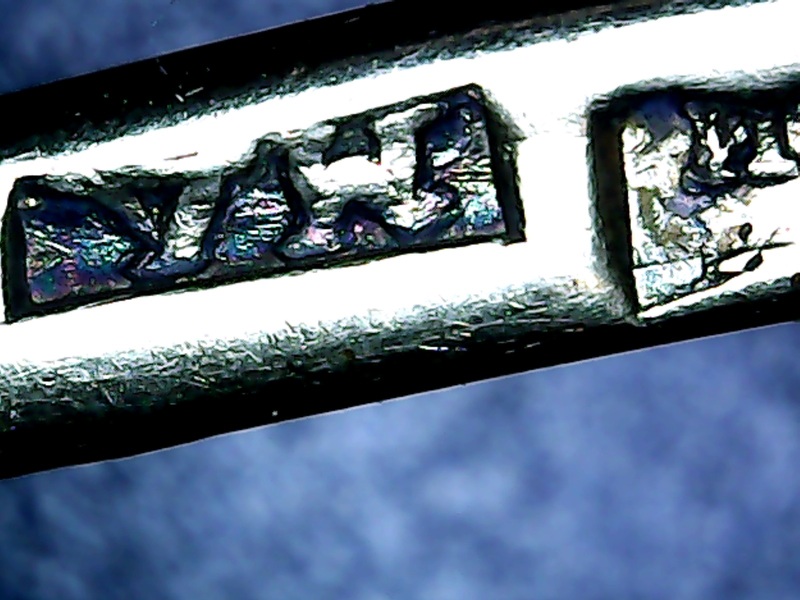 I found this but it does not have this exact mark MARKS OF EUROPEAN SILVER PLATE: XIII. 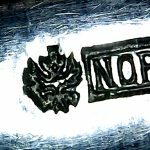 NORBLIN, RUSSIA/POLAND (Revised & Updated Version of Members’ Window # 57) http://www.ascasonline.org/windowOTTOB101.html The history of the Norblin company is well known [3,4,5,6]. 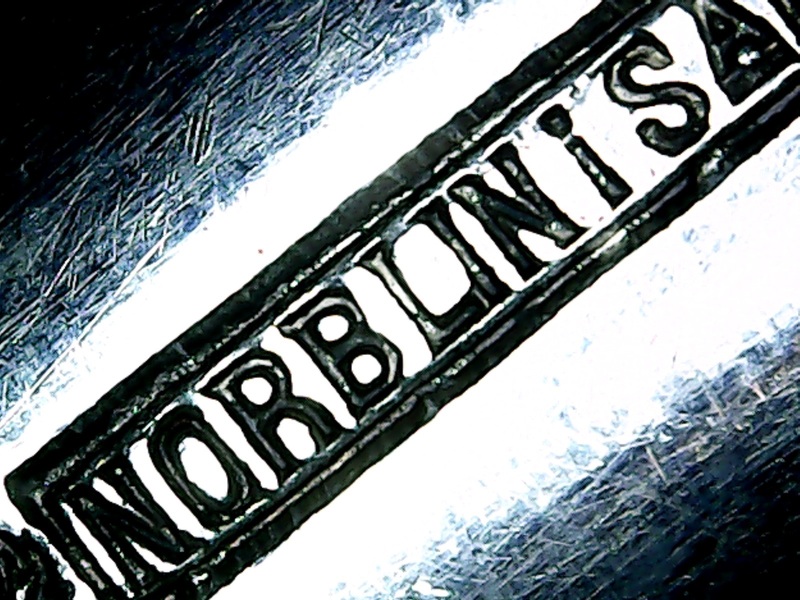 Vincent Norblin (1805-1872) was born in Paris. 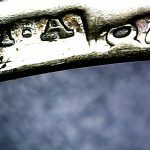 His life story reads like a cheap fiction. 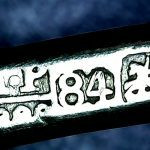 At the age of fourteen, Vincent appeared in Warsaw, where his father, the jeweler Alexandre Jean Constantin Norblin (1777-1828), together with Vincent’s uncles was running a small enterprise, a bronze foundry (founded in 1819). 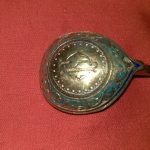 After his apprenticeship at his father’s factory and studies abroad, Vincent found work in Warsaw in a silver company managed by the French jeweler Jean Cerisy (in 1822). 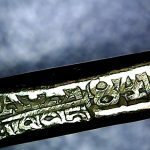 Cerisy had married the daughter of Filip Vorbrodt, a local businessman of German origin, who moved to Warsaw from the small German principality of Anhalt. 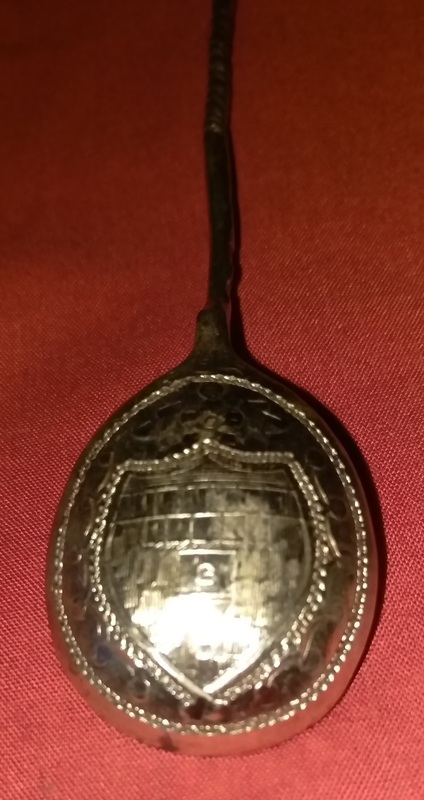 After the death of Filip Vorbrodt, the wife of Cerisy, Henriette Leopoldina Augusta, inherited her father’s silver company. 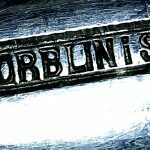 However, in 1831, Jean Cerisy died suddenly and Vincent Norblin (Wincenty Norblin in Polish) married his widow and became the boss of the firm. 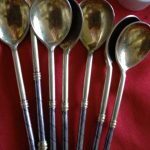 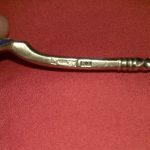 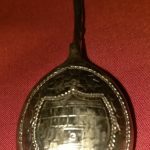 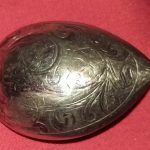 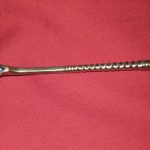 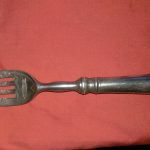 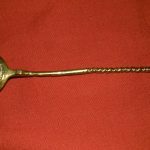 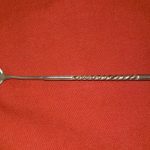 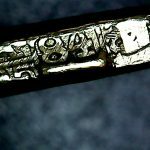 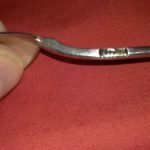 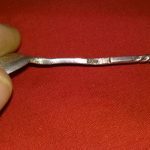 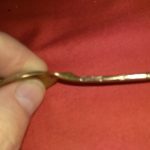 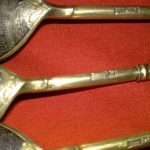 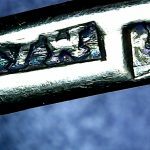 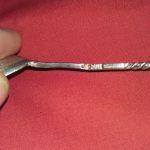 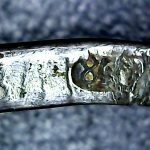 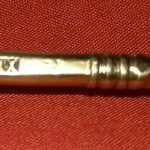 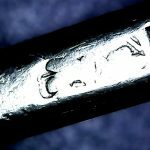 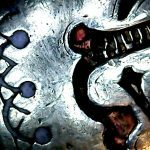 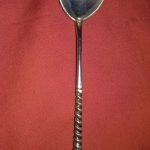 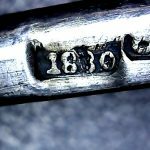 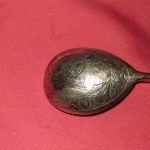 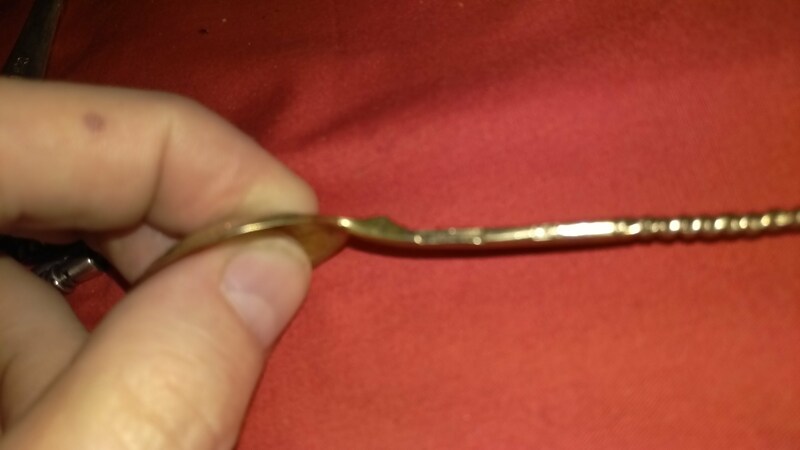 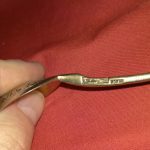 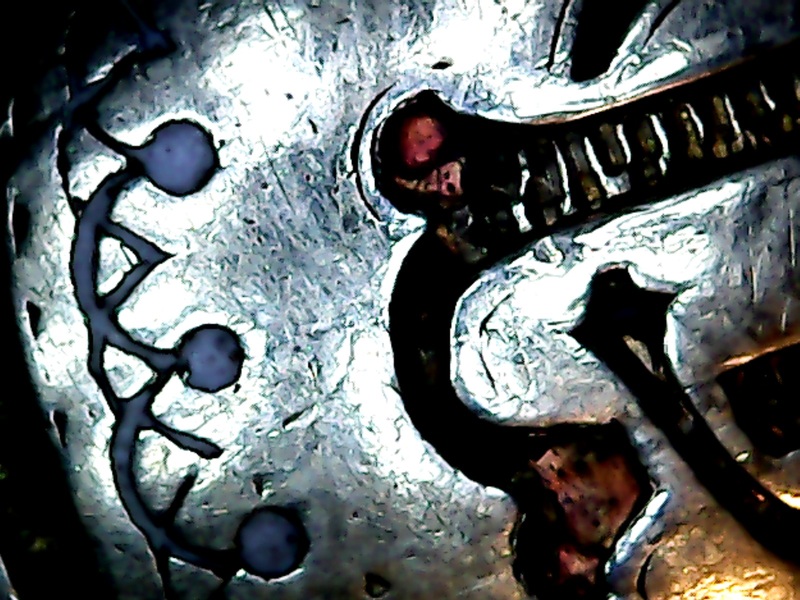 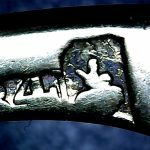 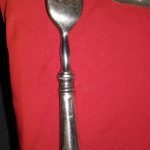 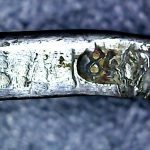 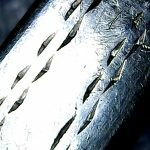 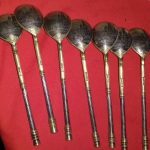 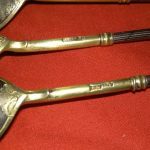 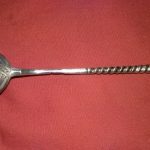 The following spoons are Fakes, pretty but fakes….